As I had to find out today, you cannot set the position of guidelines in PowerPoint from a VBA macro. But if you need a set of accurately positioned guidelines like shown in the screenshot below (exactly 32 vertical guidelines with the same distance between them), it would be almost impossible to position them by hand. However, as you may know, PowerPoint’s PPTX files are simply zipped XML files, that can be extracted, analyzed (e.g. diffed), and modified. 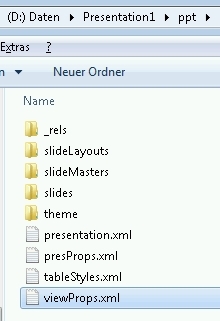 So I did exactly that and found out that the presentation’s guidelines are defined in ppt\viewProps.xml. Now you can zip up the folder again, rename the file to pptx and open it in PowerPoint. 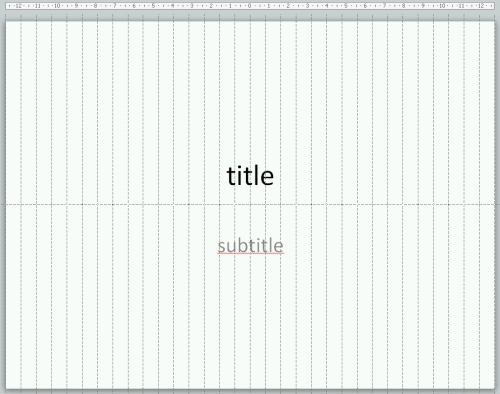 Administration, Office, PowerPoint, XML. Lesezeichen. Actually the measurements are eighths of a point and the default slide width is 10 inches. So 10 inches is 10 * 72 = 720 points. 720 points * 8 = 5760. I have no idea why this measurement was used over the other weird ones out there.